← THE LOVELY TREE SWALLOW — A NATIVE CAVITY-NESTING BIRD USING OUR NESTBOXES. 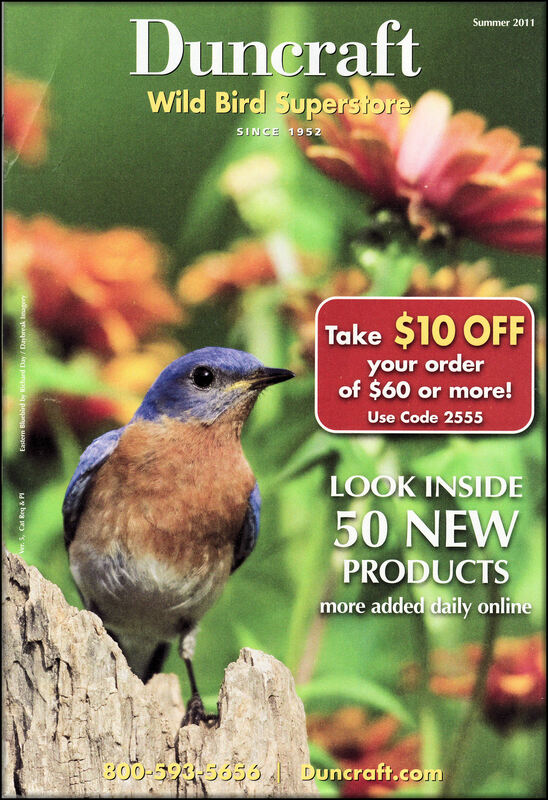 LOOK WHO MADE THE COVER OF THIS CATALOG FOR SUMMER 2011! My catalog came in the mail the other day. It was nice to see our bluebird on it. This is one of my favorite bird-supply companies. I have a metal mealworm "cage" hanging feeder from them that I use in the winter and early spring.